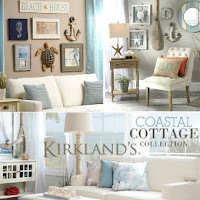 Making red the focal point in a room coastal style. 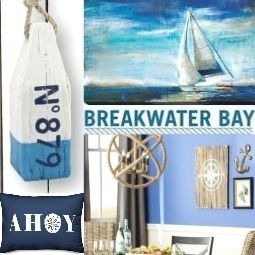 Coastal design ideas to energize your home with the bold shade of Nautical Red. 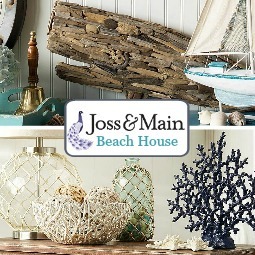 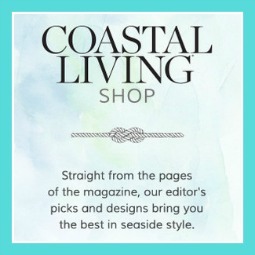 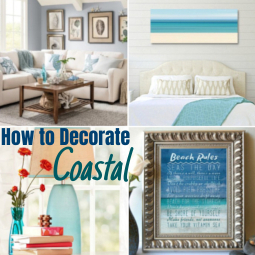 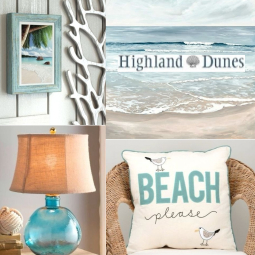 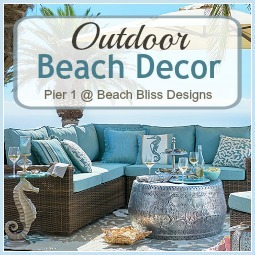 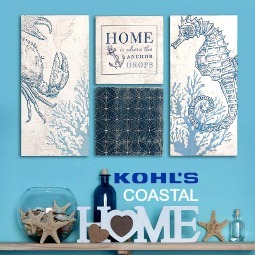 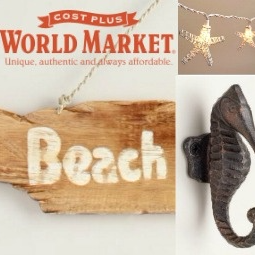 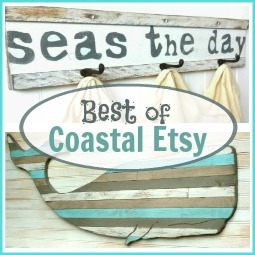 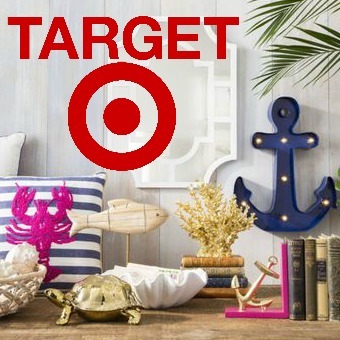 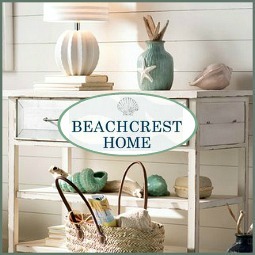 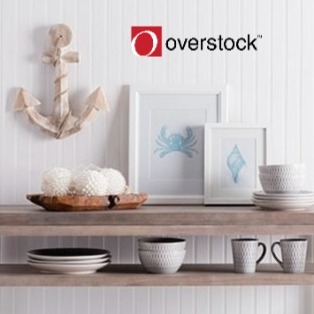 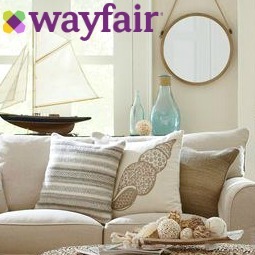 From red Coastal Furnishings, to ideas for red coastal decor accent pieces. 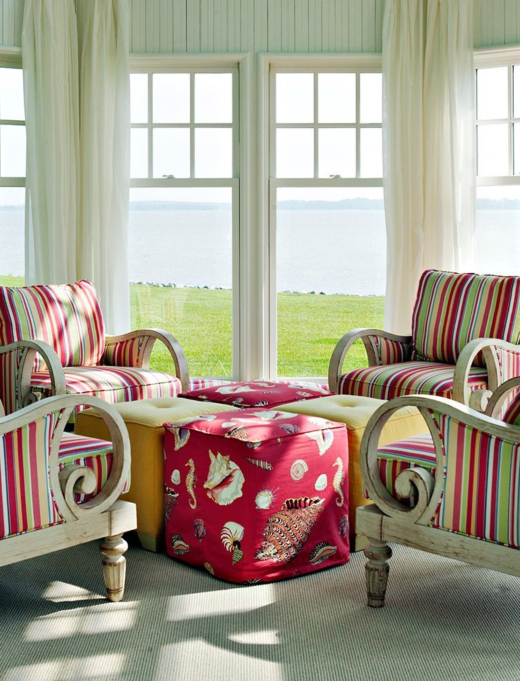 Jamie Merida of Bountiful Interiors designed a variety of coastal homes using striking red on furniture and on pillows. 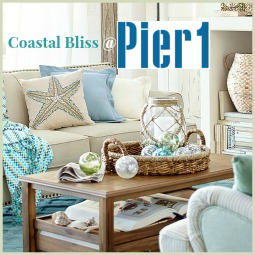 Coastal Ottomans in red Sea Life Fabric create a casual table setting, or can provide additional seating if needed. 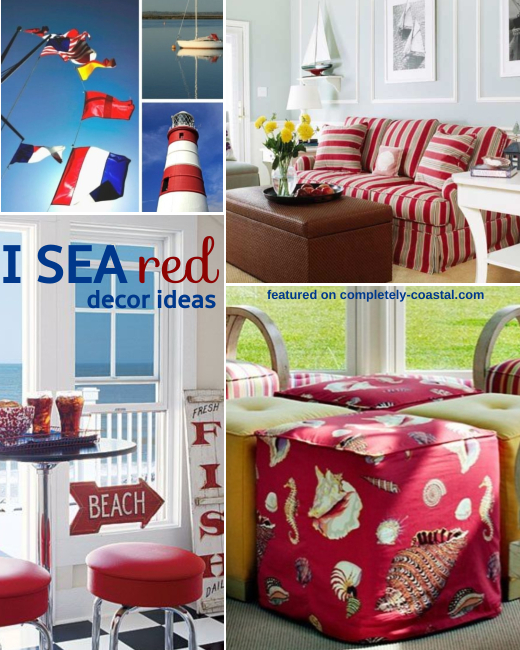 Red furnishings and a set of storage cube tables with a nautical design make for a lively and warm sitting area. 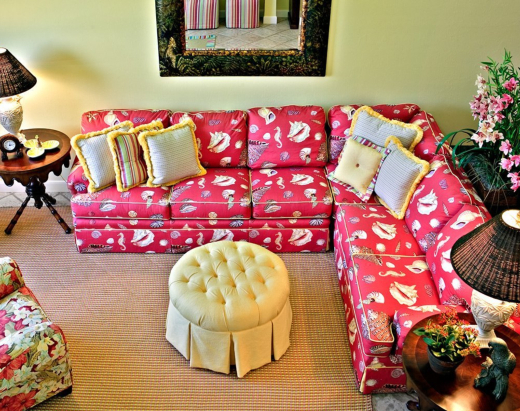 The red coastal sofa is made from the same red Sea Life Fabric seen on the ottomans earlier. 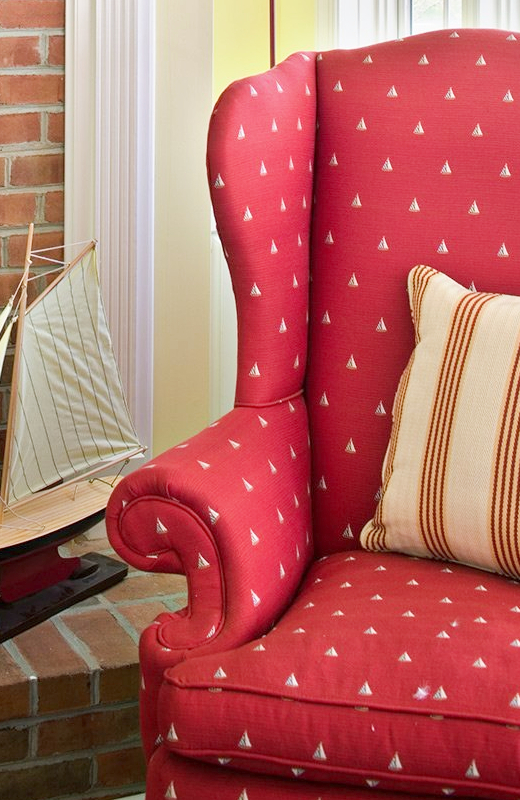 A red wing chair upholstered in a Fabric with a mini sailboat design. 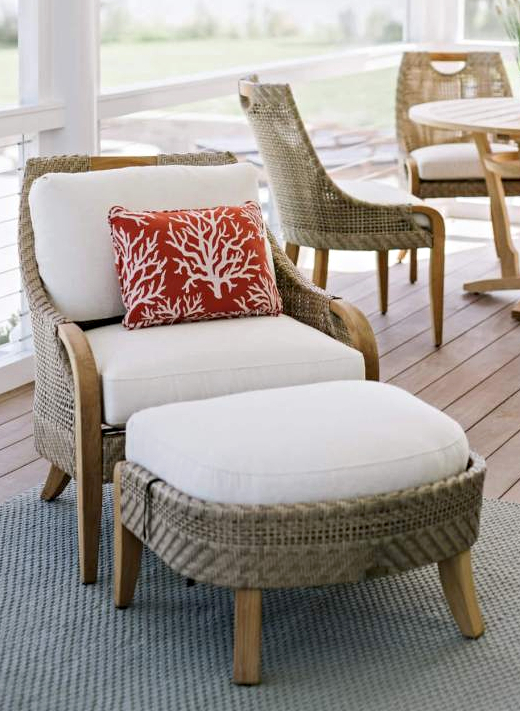 A red Coastal Pillow is added to a neutral space. 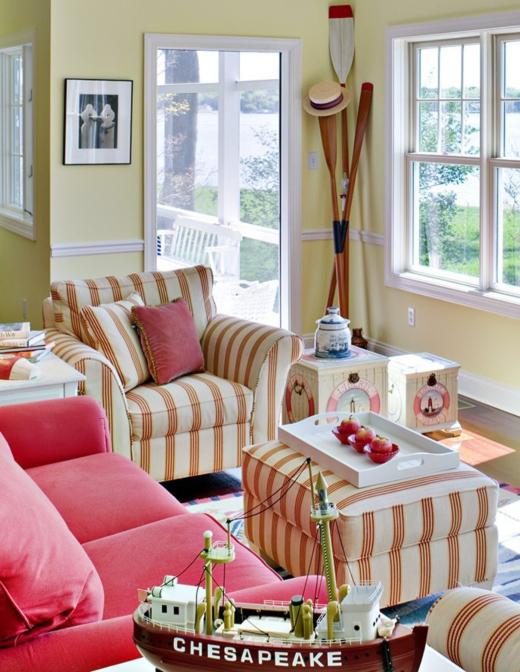 Coastal Living Room Color Idea from Better Homes and Garden, energizing a bright airy coastal living room with a red striped sofa. 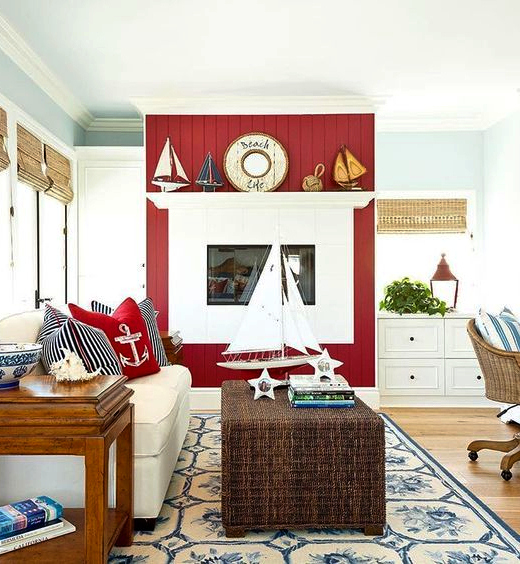 Red accents in a Coastal Cottage Living Room with red cabinet, pillows, and sea life fabric that features red fish and sea stars. 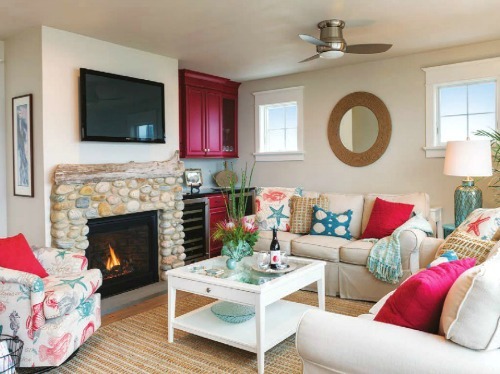 Red painted Accent Wall Design Idea by Barclay Buttera. 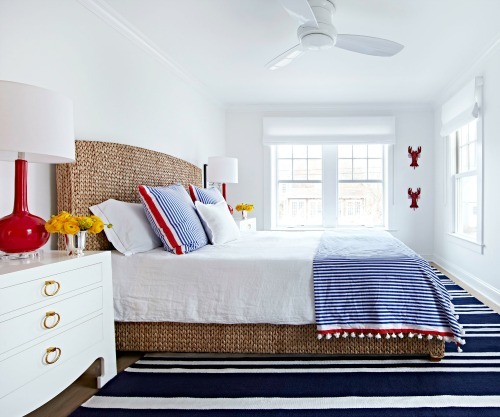 Coastal bedroom with red decor accents. 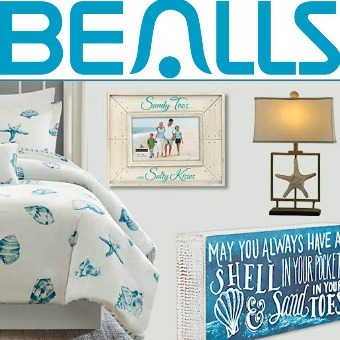 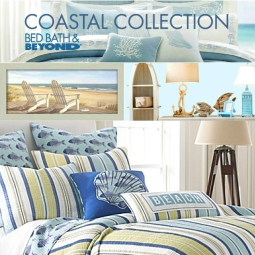 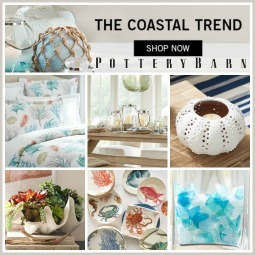 The star of the room is the Seagrass Bed by Pottery Barn. 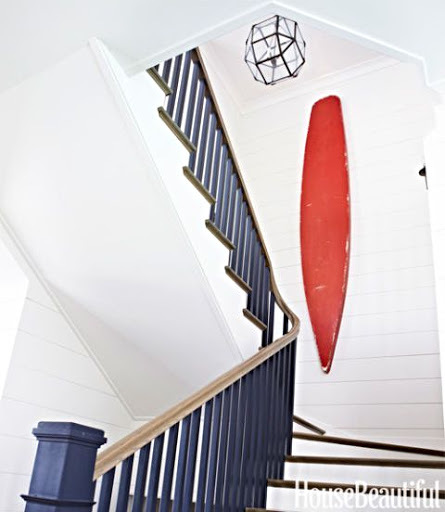 Red Surfboard Wall Decor idea from House Beautiful. 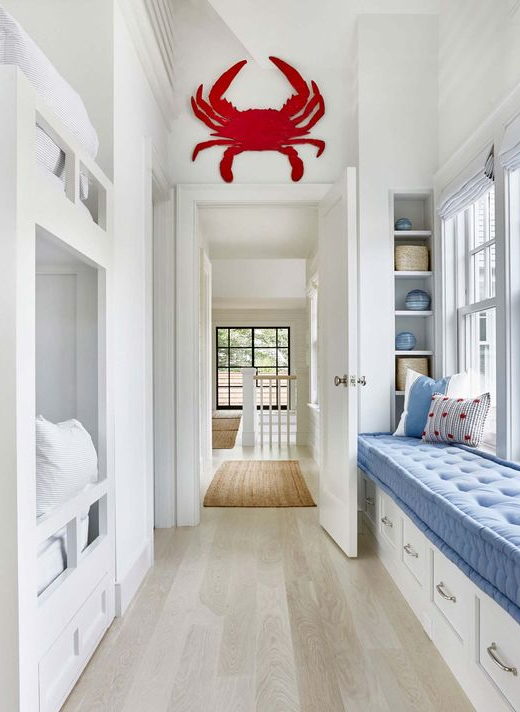 Large Wood Crab Cutout in red is the focal point in a modern Long Island Beach House by Chango & Co.
Red coastal retro kitchen idea from Coastal Living, featured here. 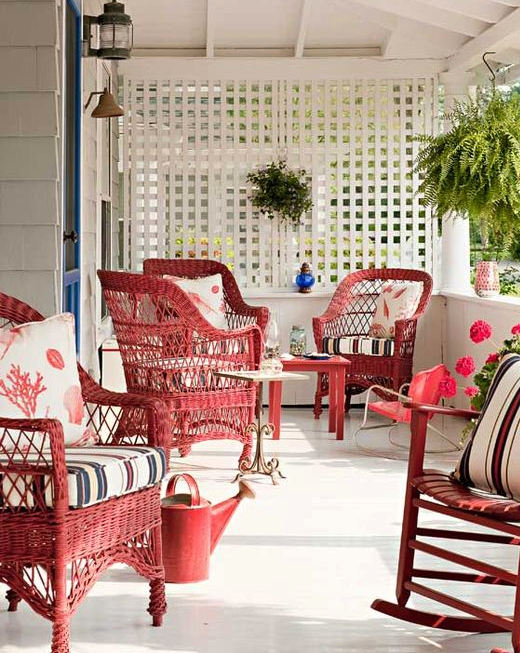 Red wicker porch chairs with red sea life pillows in a Victorian Cottage.